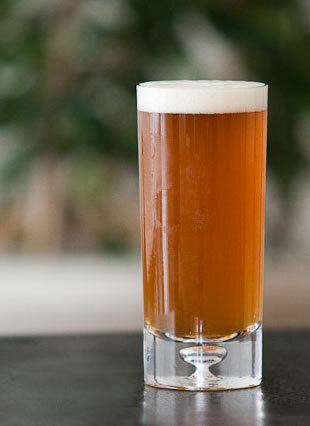 This home brew recipe mimics Sierra Nevada Pale Ale. Is it a clone? Yes! Taste it and see. Try it – you’ll like it. If you’ve never had Sierra Nevada Pale Ale, then get ready to enjoy! Taste this updated craft beer recipe for Sierra Nevada Pale Ale! I’ve edited this recipe clone to reflect the specs from Sierra Nevada’s web site. The hops and IBUs were edited to reflect those that Sierra Nevada list. BYO magazine has the IBUs at 51 vs. Sierra Nevada 37, and uses Chinook instead of Magnum and Perle for bittering. Hey, we can do this brew right. You need great pale ale – and this is the West Coast Classic Pale Ale from Sierra Nevada. It’s as good as it gets! Brew Your Own Sierra Nevada Pale Ale Today! Pour 3 gallons (11.4 L) of water into your pot. Place crystal malt grains into a steeping bag. Note: Don’t fret if you’ve not done this before. It’s like making tea. Tie bag and place into pot. Bring temperature of water and grains to 155º F (68º C). Steep for 30 minutes, with water at 155º, dunking the bag several times to insure good extraction. Remove the grain bag from the steeping water and gently squeeze out excess water. Discard bag and grains. Do not try to remove all the water as tannins may be released and cause excessive bitterness. Note: Spent grains may be used with spent grain recipes that are in the Food/Beer > Spent Grain Recipes section of Black Bucket Brew. Bring the hot steeped liquid to a boil. Add malt extract, stirring well. Note: Do not add extract to brew pot while on hot burner. It may cause scorching of malt sugar and your brew will taste burned. Start timer for 60 minutes. Add bagged bittering Magnum hops directly into the pot. Note: Using hop bags for bittering hops and aroma hops makes it far easier to create a cleaner wort. Add the bagged .6 oz (17 grams) Perle (bittering). Boil for an additional 20 minutes. Boil for final 10 minutes. Add 2 oz. Cascade aroma hops (not in a bag). Note: Air contains dust that mold and bacteria “travel” on. Anytime your cooled or cooling wort is exposed, try to minimize air flow. Turn off HVAC, fan, etc. Carefully move from heat to sink (if not using a “wort chiller”). Cool in an ice bath until the wort is 80ºF or less. Add wort to primary fermenter and top with cool water to the 5.5 gallon mark. The yield is about 5 gallons. Aerate wort for good yeast fermentation. Cool wort to 68ºF (20ºC). Before the yeast is pitched, take your original gravity reading by taking some wort out with a “wine thief” or sanitized cup. Place in a tube or tall narrow glass and insert hydrometer – all sanitized. Always be careful about sanitation! Pitch your yeast AFTER the temperature reaches 68ºF (20ºC). Put on the lid and insert airlock filled half way with sanitized water or Star San solution. Keep the fermenter in an area, which will maintain as constant as possible a temperature of 68ºF (20ºC), but no lower than 66ºF. Fermentation should start in 8 to 48 hours. Within 3 to 5 days, the fermentation will slow or appear to stop. This is a good time to use your hydrometer to test your specific gravity. When the hydrometer reading has reached the predicted FG of 1.010/1.014 and/or is no longer dropping for three days, consider your beer ready to transfer to a secondary. Condition your beer for 7 to 10 days. Note: If you wish to create a clearer beer, then a fining may be used. It is now time to bottle your beer. If not already clean, wash all bottles in hot water with dish detergent, and rinse well. Do not use soap! The oil in soap will prevent proper head formation. Use the sanitizer of your choice to sanitize your bottles. Dissolve 5 oz. (140 grams) of priming sugar in 1 cup of water and bring to a boil. Allow to cool to room temperature. Careful when boiling, as it can boil over very quickly. Attach your tubing to the spigot on your bottling bucket and fill your sanitized bottles. Leave 1” of air space in each bottle. Cap all bottles immediately. Store your beer at 70 – 75ºF (20-24ºC) to carbonate and age in the bottle for at least 10 -14 days. Note: The yield is about 5 gallons, as some beer volume is lost to trub. Ales with a lot of hops do not retain their aroma well after many months of storage. They are best enjoyed in the first few months after brewing! Enjoy your Sierra Nevada Pale Ale Clone. To get your own Black Bucket Brew delivered to your inbox – Subscribe Now for your free emailed copy! Awesome recipe, thanks for the tips. I am trying to scale this kind of thing down to 1 gallon and I’m a bit confused. Your instructions call for adding the aroma hops twice. When should they go in? Thank you and thanks for pointing out the error. The recipe has now been re-edited to read more clearly. All the brew steps are numbered and the aroma hops are only added once. They are added after the boil cycle is complete –at flame out. Step 19 – Add 2 oz. Cascade aroma hops. BTW, you may know that Sierra Nevada says that they do not dry hop this beer, so no additional hops are needed after the flame out addition. You can leave them in for several minutes as the wort is transferred for cooling or even after it is cooled. I suggest removing them before placing the wort into your fermenter. All the brew steps are numbered and the aroma hops are only added once. They are added after the boil cycle is complete –at flame out. Step 19 – Add 2 oz. Cascade aroma hops. Greetings from New Zealand. Brewed this recipe up last night, thanks for putting it up. Unfortunately we can’t get Magnum hops very easily (if at all) in NZ, so I substituted them out for some Northern brewer (adjusting to get the equivalent IBUs). I’ve noted that the recipe asks for 2oz of flameout addition Cascade but its only 28g converted (ie 1oz) what is it supposed to read, 1oz or 2 oz? (28 or 56g) I used just 1oz. Thanks again, and have been enjoying the newsletters, keep the recipes coming and I’ll let you know how the tweaked clone tastes. Hey, Welcome from New Zealand! Great to see your comment and thanks for your compliment. I’m glad you enjoy BBB e-Zine! It should be 2 oz. (56 grams) The math malfunction is my bad. If you think it needs more aroma, you can dry hop the last ounce. It should be good as is though. Some people like it with more or less aroma. Please let me know how your recipe turns out! What a terrific beer the SN Pale Ale is. I’m about to give this recipe a go myself…just wanted to check my assumption that the Cascade hops are US Cascade? Seems we can get US or NZ Cascade here in Australia, and there’s a lot of argument about them being quite different. Also, when transferring the wort to the fermenter, do you try and leave behind the kettle trub, which I imagine would be pretty significant given the 2oz flameout Cascade addition…or do you just dump the whole lot in, trub and all? Hi, yes it’s a great beer! Use US Cascade. Glad that they are available there. I use a plate chiller for cooling, so hop bags are used to contain the hops and eliminates the hop debris. A lot of brewers will whirlpool the wort by stirring it very fast and letting it settle, then carefully draining thru a valve or siphon. Yeast labs caution that too much trub can cause yeast to be stressed and may harm the fermentation. So I try to eliminate as much trub from the fermenter as possible. Hot and cold break using my brew rig are not easily removed, but there has been no harm from the trub in my brews. If left in wort for too long (over 7 days usually stated) hops are said to create a grassy taste. Thanks for the visit and your questions. Cheers Bryan, Hope it’s a great brew for you. Others have been very pleased with this recipe. Love to get to Ireland one day. Enjoy. How did the brew turn out? Brewed this a couple of weeks ago. Took a hydrometer sample to see where it was (finished after 5 days) and drank kit afterwards. It was so good, I drew off a whole glass straight from the fermenter! Great recipe, thanks a lot. I’m brewing up another batch with a bit more malt extract and an extra oz of cascade for dry hopping this weekend. Glad to hear you like it! Real good to get feedback on recipes. Enjoy it! Dylan, you did it right. Let the hops steep while your wort cools then sieve. To add hops while in the fermenter is called dry hopping. SN has publicly stated that they do not dry hop this brew. However their process may differ from yours or mine in time left in the wort, temp of the wort, freshness of hops etc. So the end result is what’s most important. After you have tested (tasted) your creation -always the most fun part – you can tweak your recipe by changing one variable at a time. If you decide to dry hop a batch of any beer, it is best to not leave the hops in your brew for more than about 7 days. If left too long it imparts a grassy flavor that gives the beer an off taste. Thanks for stopping by. Enjoy your brewing! Hi David, I have been meaning to respond to you and let you know how amazingly this turned out. It hasn’t lasted long! I was wondering if you knew how I could substitute the malt extract for all grain somehow as the recipe worked out so well but would love to try it with a full grain. Do you have any other recipes that you would be willing to share with us? Thanks a million once again. Dylan, thanks, glad that you enjoyed it! Sure, I can change the data to create an all-grain version and it will give a very similar taste as the recipe that you used. Let me get to working on it soon. Thanks! This looks like a great recipe and I’m going to give it a go this weekend. If using hop bags would you reccomend increasing the amounts a little? I’ve seen some people say by 10%. Jason, thanks for stopping by. Personally, I use bagged pellet hops and do not change the hop quantity. However, 10% is a fairly small quantity. Some experienced brewers say that a 10% change in bitterness/aroma is not easily discerned. If you are concerned, you might give it try and see how you like it. Hi David looks like an awesome recipe, just wondered could I use whole hops insdead of pellets , as that’s what I prefer to use, cheers hoppy brewing. Hi Alan, good question. Brewers that have used and tried both tend to say that the whole cone is about 10% more bitter if used as a bittering hop. From what I’ve read, a 10% change in hop value is considered almost non-detectable. I’d not worry about it, but if you are, just reduce the hop values by 1/10th and go on as usual. They whole cones may be a bit more flavorful and have more aromatics also. You could reduce all the hops by 10% and cover that area too. Whatever you decide, enjoy!